Happy International Print Day 2017! October 18, 2017 is International Print Day. I am happy to celebrate my love of print with you! This year’s theme, is the User Experience. Printed maps provide a great User Experience! The spatial awareness you get from the big picture of a large printed map, combined with the ability to crunch down into the details with your computer or mobile phone, when used together, gives you the best of both worlds for the best User Experience! A map is tactile. 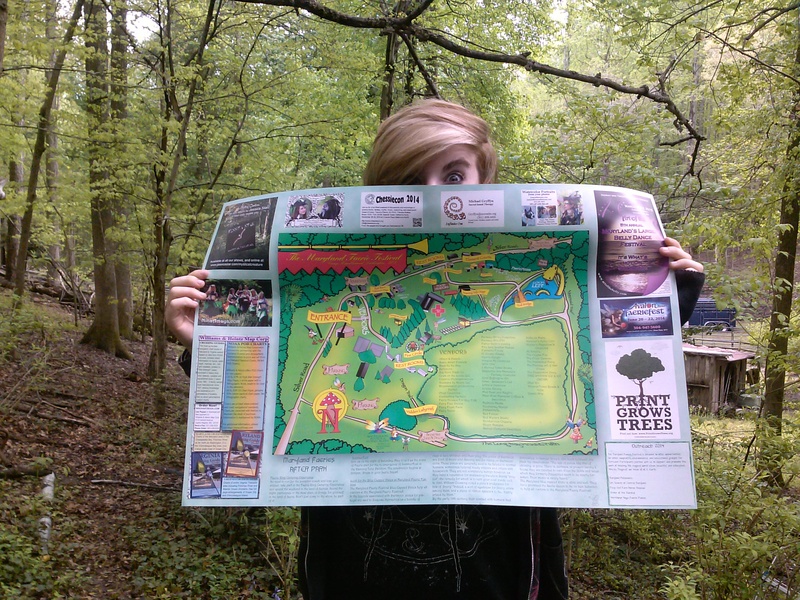 Many people find that there’s just something enjoyable about holding a printed map in their hands. Humans were designed to touch and feel. Print—an extremely tactile media —caters to this need. While much of the marketing world’s attention seems to be turned to the digital arena, print continues to be an extremely effective part of the marketing mix. When you think about the emotional impact that print’s physicality has, it’s easy to see why print works. Perhaps it’s because it exists in the physical world that print is so capable of grabbing our attention. From the map of your favorite event, or magazines sitting in the doctor’s waiting room, to the newspapers in the rack at your favorite coffee place and the letters and fliers that arrive in your mail, print has a way of calling out to be picked up and read. Many people find that there’s just something enjoyable about holding a printed piece in their hands. Print stimulates the senses. You can feel the texture of the paper, turn the pages, see the colors as they were meant to be seen. Print can be shared, thumbed through and dog-eared. Coupons and articles can be cut or torn out and set aside. Plus, of course, print is always available, no connectivity required. Print is gloriously tactile, which makes it capable engaging audiences in a way that other media simply cannot.